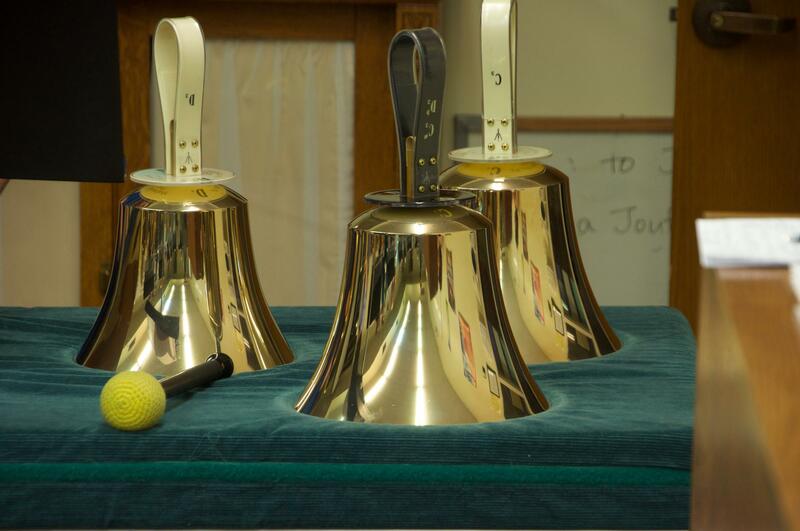 The Bells of St. Vrain handbell ensemble. The Bells of St. Vrain. 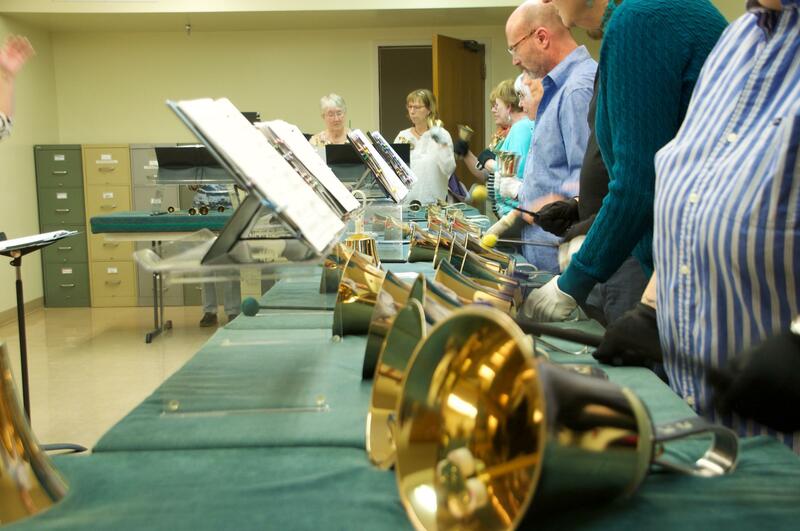 The Bells of St. Vrain handbell choir rehearses every Tuesday night in a classroom in the basement of First Congregational United Church of Christ in Colorado Springs. The group, currently led by musical director Mandy Todd, has been performing since the 1980s. 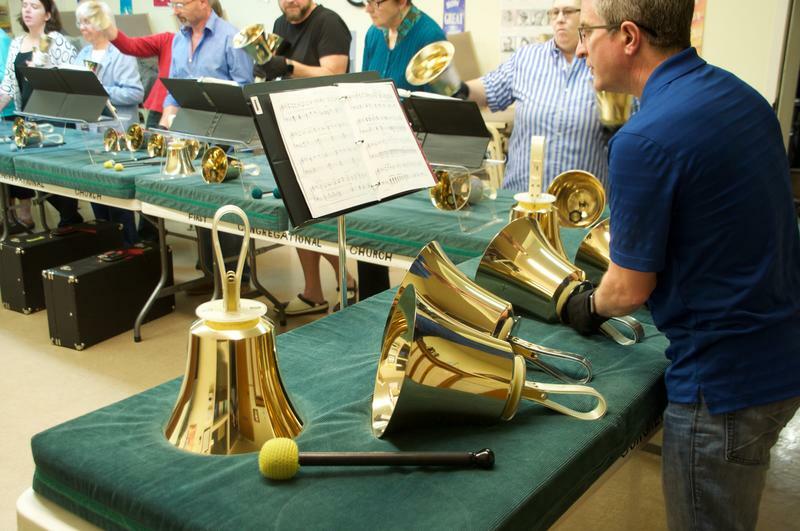 If you've never seen a handbell choir, it's a sight to behold: a dozen people stand side-by-side behind a long table, which is covered with a row of shiny brass bells. Each performer plays only a few notes on the scale. They follow sheet music and strike their bells when their notes come along, employing a variety of techniques to elicit different sounds. Most of the members of the Bells of St. Vrain have played other instruments in the past, and can read music well. But they say performing in a handbell choir is unlike any other form of music. 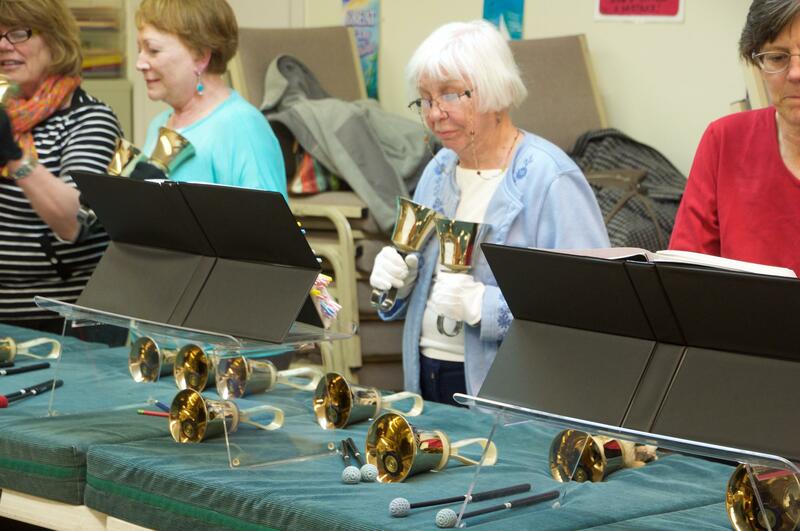 "I've been ringing bells for 30 years," says Polly Strovink, a longtime member of the group. 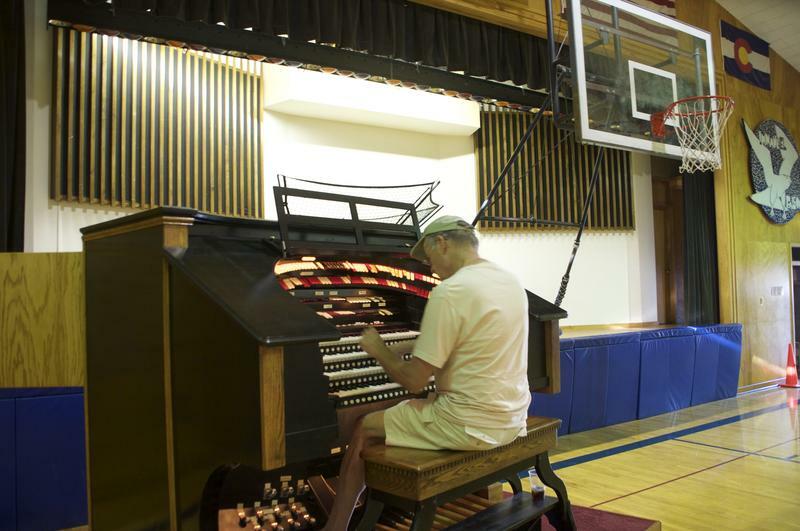 "I think I do this because it's 12 people playing one instrument. I haven't ever found anything else where I'm just part of an instrument, I'm not my own instrument." Handbells are meant to be played as a group. So learning the parts together is vital, which is why the group meets every week to rehearse. They run through pieces over and over again, working to make sure that every note and every rhythm is just right. "You can count your heart out," says director Mandy Todd, "but if the person who plays the note in front of you doesn't play it, it can throw off an entire section of a piece. We're so dependent on each other--really gelling is important." Todd says reliance on the group is part of the appeal, and it breeds a special bond among the members. Members of the ensemble describe it as a family. 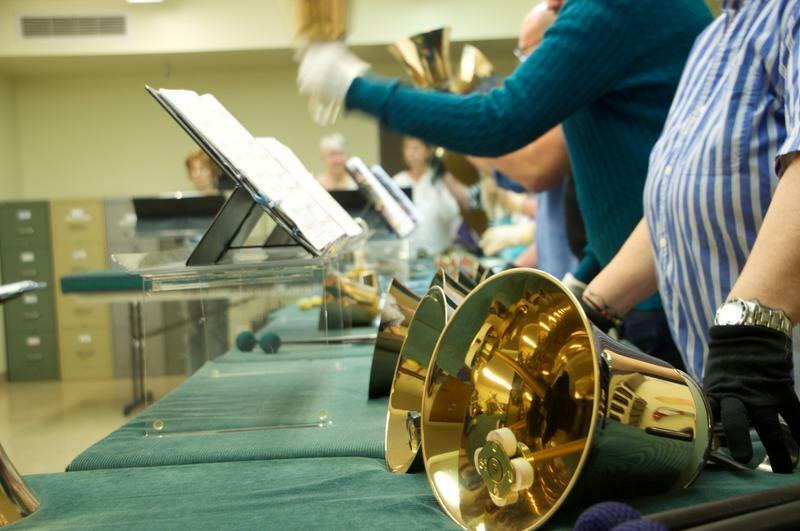 You can catch the Bells of St Vrain in action on the third Sunday of every month at First Congregational Church in Colorado Springs. April's episode of Air Check announces NPR's Tiny Desk Series move to Colorado Springs--just kidding. But it does bring Colorado Springs musician and Alex Koshak back from a tour with Esme Patterson, where they performed at the real Tiny Desk in NPR's headquarters in Washington D.C. John Craigie, modern-day troubadour, drops in to play a few songs from his new album No Rain, No Rose; Craig Carnick tells the story of Motown Studios where he worked the night shift as a recording engineer in the 1960s; and the Bells of St. Vrain share the art of handbell performance. Colorado Springs resident Craig Carnick had a front row seat to one of the great eras in American music. 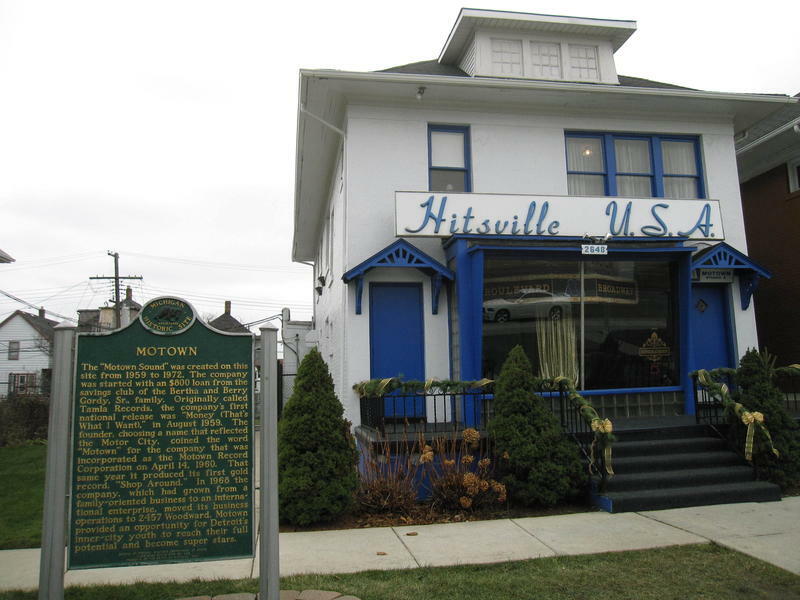 Back in the 1960s, he worked the night shift as a recording engineer at Motown Studios in Detroit, Michigan.